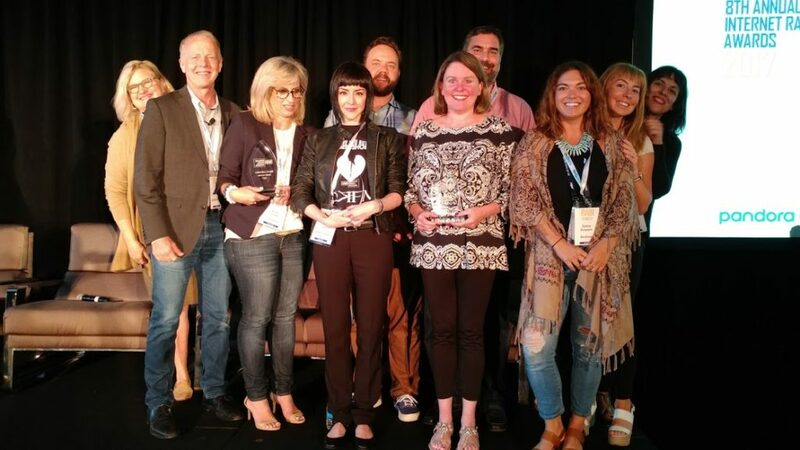 In beautiful and blessedly storm-free Austin TX, RAIN Summit Austin produced a dynamic half-day knowledge and networking event at the JW Marriott, alongside the NAB/RAB Radio Show. RAIN founder and AccuRadio CEO Kurt Hanson started the event with his annual State of the Industry Address, packed with metrics and insight. “Simulcasting is not a strategy,” Hanson declared. Larry Rosin, President of Edison Research, followed the Kurt Hanson keynote with a presentation that covered two recent consumer surveys conducted by the research giant, both about smart speakers (e.g. Amazon Alexa and Google Home). Rosin expressed his own amazement at the growth and excitement around the voice-controlled devices. In one study (collaborator: NPR), qualitative research added highly produced, in-home interviews describing how people quickly come to rely on voice-controlled speakers for audio and other functions — even companionship. In one memorable clip, a respondent explained that Alexa has completely replaced her radio, which she put in a box in her garage, ready for sending to her native country “to help the poor.” That quote brought a near-riotous response in the packed conference room. 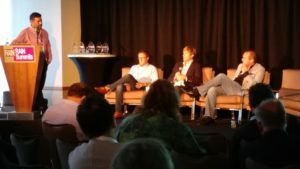 The smart-speaker theme continued with a panel moderated by Bryan Moffett (NPM), featuring panelists Rob McCracken (Scripps), Charles Steinhauer (Westwood One), and Ryan Higbie (XAPPmedia). Rob McCracken picked up Kurt Hanson’s remark about simulcasting, agreeing that it isn’t a strategy, “but it’s a start” (especially in the context of making radio station “skills” in Amazon Alexa. 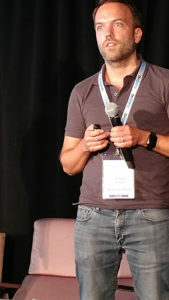 In a discussion about original content, Charles Steinhauer promoted interviews as a doable programming tactic that keeps users attached to the station brand. Ryan Higbie said that custom welcome messages were a way to personalize radio on smart speakers. McCracken thought radio should “take the blinders off,” and find new types of interactivity. He disclosed that Scripps-owned Midroll Media is developing interactive storytelling, where the listeners determines the story direction. The first half closed with the 8th Annual RAIN Internet Radio Awards, sponsored by Benztown. See HERE for coverage of the winners. RAIN Awards winners with the Benztown crew and Kurt Hanson. Jon Bennion heroically masters the Pecha Kucha. Opening the second half of the conference, Director of Sales Jon Bennion assumed the challenge of Pecha Kucha, the rigorous presentation format of 20 slides auto-advancing every 20 seconds. It’s performance art in which the speaker risks getting dragged along behind the relentless march of slides. Bennion rose to the challenge with skill and humor, presenting a memorable addition to RAIN’s Pecha Kucha addition. 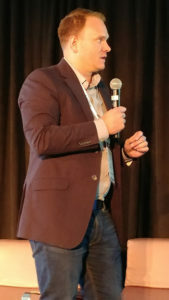 Seth Resler, who as Digital Dot Connector for Jacobs Media owns the coolest title in the industry, presented a tutorial for radio in starting a podcast. There was much learning to be had in his 12 essential steps. 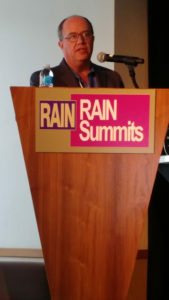 RAIN Summit Austin reached across the ocean for the RAIN Reveal, a segment for introducing new and innovative products or services. Christian Schalt (Next Level Audio, Germany) and Rudiger Landgraf (KRONEHIT, Austria) collaborated to describe Skip FM, a technology that brings sophisticated song-skipping to radio simulcasts. It put new light on the “Simulcasting is not a strategy” idea. Jed Williams of the Local Media Association led the day’s second panel discussion, about radio’s digital initiatives. His panelists were John Rosso (Triton Digital), Carolyn Gilbert (Nuvoodoo), Vince Benedetto (Bold Gold Media), and Mark Preston (Bonneville). 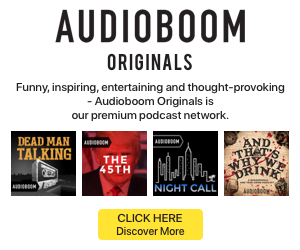 John Rosso voiced a stern admonishment to radio not to relegate podcast development to a B-team of talent; in what might be described as a don’t-boil-the-ocean sentiment, Rosso advised focusing large organizational effort around a single strategy. Mark Preston discussed his intention to test the subscription model for Bonneville’s portfolio of archived content and podcasts. Carolyn Gilbert rhapsodized about the creative potential in young people who might already be associated with a station. Vince Benedetto spoke with authority about social strategy, as one of his stations has achieved 900,000 Facebook followers. The day ended with a conversation between broadcast attorney David Oxenford and SoundExchange General Counsel Colin Rushing. While the dialogue was fairly advanced, the room was responsive to Rushing’s explanations of how audio royalties work. The conference was followed by the RAIN Summit Cocktail Reception, long known as an important annual networking opportunity. As I said in response to another story, the fact that AM/FM radio companies not only attended the RAIN Summit, but had staffers on panels, demonstrated the folly of the Larry Miller report about radio & digital. 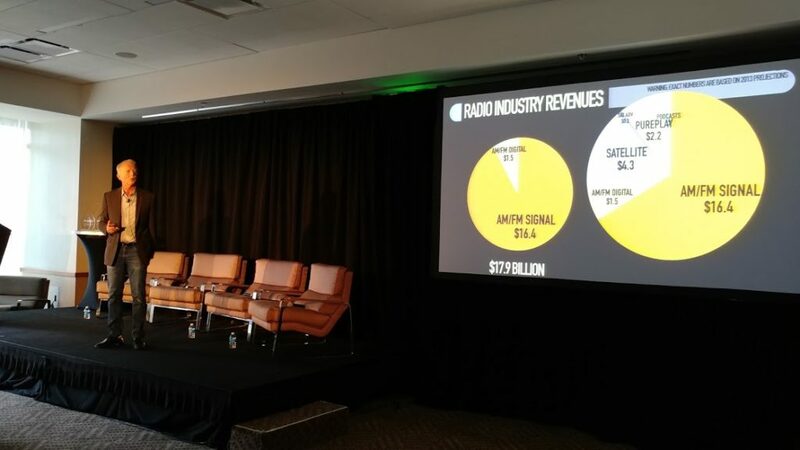 The thing I’ll point out again is that there is more to digital radio than music distribution. The key elements being discussed here are original content creation for digital, not simply taking someone else’s content and streaming it. That creation costs money, and demonstrates the investment in digital. The other thing I notice with RAIN’s coverage is where was NPR in Miller’s report? They have a huge digital presence, and a big part of it has to do with music. Just because they are non-commercial doesn’t mean their primary medium isn’t AM/FM. 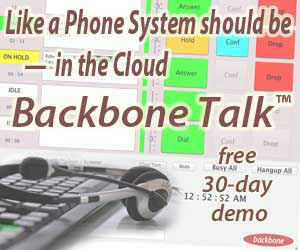 But they are offering their digital content to augment their broadcast presence. That’s what iHeart, CBS, Townsquare, and other companies are doing. Radio is not a one-or-the-other thing. It’s broadcast AND digital. It’s multi-platform presentation, because that’s how the audience consumes content, from multiple sources. Someone needs to explain that to Larry Miller.